The Foundation had the honor of hosting a luncheon in honor of the 15th Chairman of the Joint Chiefs of Staff, General Richard B. Myers. 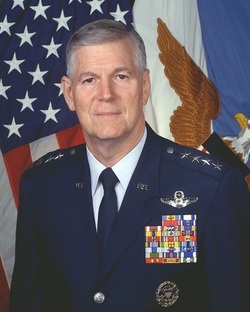 The General was the Graduation speaker for the Air Command and General Staff College Class of 2013. Over 100 members of the Air University Staff and Faculty as well as civilian leaders from throughout the Montgomery River Region.